He can choose any bed in the house and just go and sleep in it. But that was then and now since the arrival of a new member small cute puppy this behaviour might not be tolerated in this house any longer. 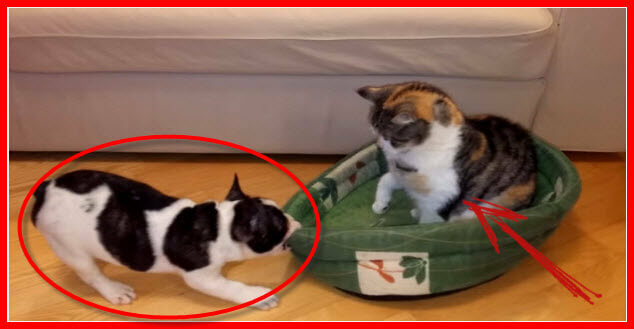 And also wait until this puppy grows up into a huge dog, then this kitty really will be in trouble. For now the cat climbed up into puppy’s bed and decided to take a nap. That is until the rightful owner of the bed came back. 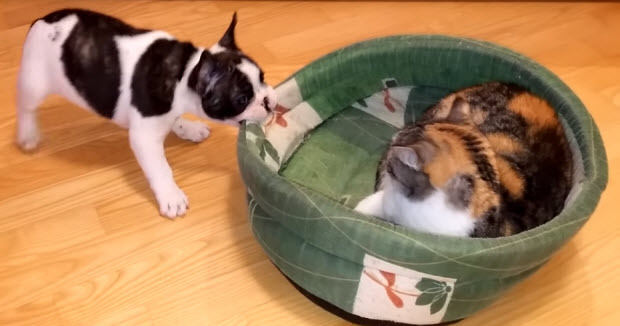 Watch this cute puppy showing the cat who is the boss. These People Were Sick Of Seeing Dogs Tied To Chains What They Have Done Is Amazing!